Our instructors are professionals in their field. They teach the proper techniques and will show you the path to the level of skill you want to achieve. Founder of Island MMA. Jason is a former Canadian Light Heavyweight boxing champion and competitive MMA fighter. Stan has held national and world kickboxing and Karate titles and has trained thousands of students in different disciplines. Former football player and now professional MMA fighter – Derek combines a knowledge of athletic performance with great teaching skills. 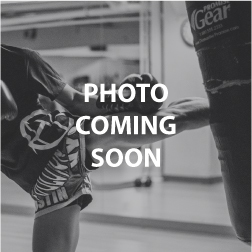 Mike is a Canadian kickboxing champion and international competitor, competing throughout Thailand and China. Lindsay is the WPMF World Featherweight Champion.